This line is seamless and completely water-proof. These products are created with durable seamless joints by applying pressure to two pieces of fabric (parts) stacked in a special machine that sends electromagnetic waves through the fabric. This special welding process causes a chemical reaction at the molecular level, which ensures that the two pieces of fabric never separate or peel. We use CODURA 500-denier Ripstop fabric as the main material, and this enables us to combine water-resistance and reliable strength. In addition, some models in our DRY line, from bags to small articles, are made using special parts, such as Ziploc, etc., so you are able to use the products without worry in a variety of situations. 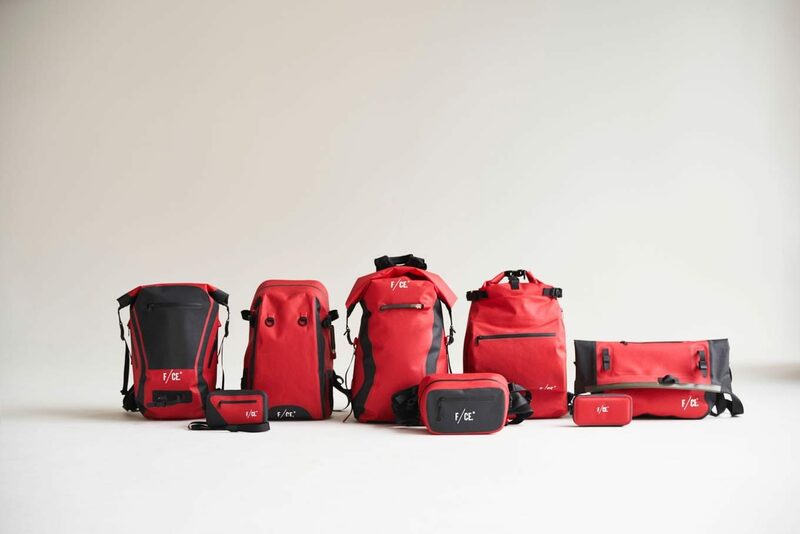 All the products have been design with inspiration from high-spec active gear.